Tom Scheurer, and Wolfgang Sauer. 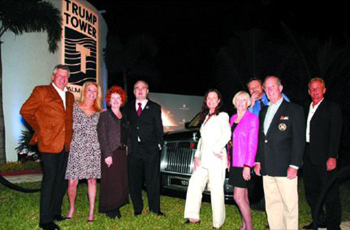 A good time was had by all those who attended the cocktail reception held at the future site of the Trump Tower, Palm Beach. Guests enjoyed fine wines, food, as well as the Rolls-Royce 101EX Experimental Coupe.